The Alligator® Rivet fastener system uses a patented, self-setting rivet technology that works the rivets between the carcass fibers without severing them. The fasteners and rivets are constructed from durable, abrasion resistant stainless steel for long life. 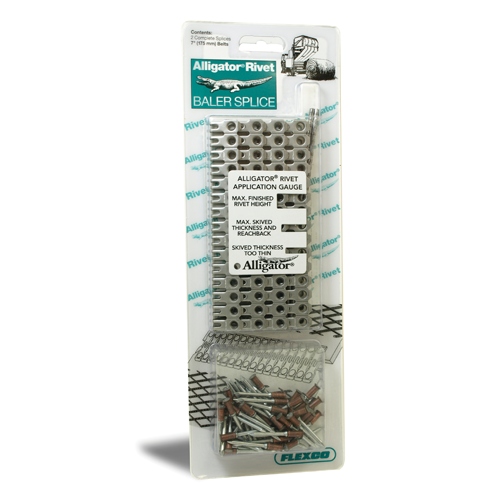 Package contains enough fasteners for two complete 10" splices.